Solid Wood. 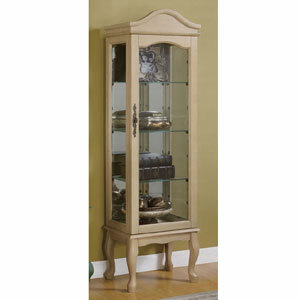 Simple And Elegantly Designed Curio Cabinet Available In Oak Finish. Curio Features Glass Shelves And Sides. Strong Construction. Easy To Assemble.